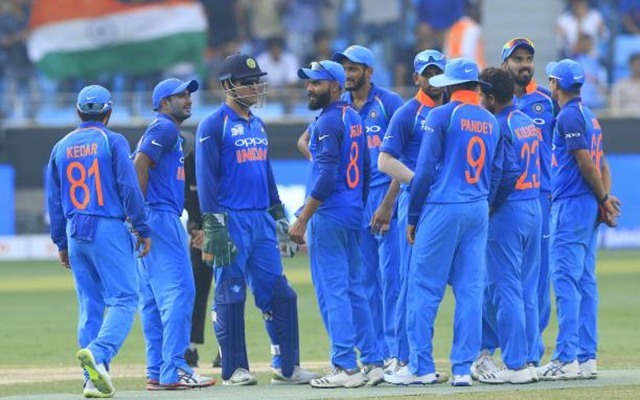 For the third consecutive time in the Super-4s round, Afghanistan were involved in a thrilling game as they managed to Tie the match against India and avoid a third straight defeat. The game was marked for MS Dhoni’s return as captain of the Indian team in the absence of both the regular opening batsmen. Mohammad Shahzad’s brilliant 124-run knock and Mohammad Nabi’s quick-fire 64 at the end helped Afghanistan finish with 252/8. Opening the innings, Ambati Rayudu and KL Rahul scored fifties also shared a century stand which was followed by a middle-order collapse. From 204/4 in 39th over, they went down to 245/9 in the penultimate over. Ravindra Jadeja hit a boundary when they needed seven from five balls but holed on the 5th ball of the final over to end the game as the scores were level. 1 – For the first time in the history of Asia Cup, a game ended up with a Tie. This is also the first time that Afghanistan were involved in a Tied game in the ODI format. 5 – MS Dhoni has now been involved in five different Tied ODI matches; the joint-most by an Indian alongside Sachin Tendulkar. He played all those five matches as captain. No other captain has been part of more than three Tied ODIs. 9.25 – Deepak Chahar’s economy rate of 9.25 is the 4th worst and the second worst by an Indian on ODI debut while opening the bowling. (Min: 20 balls bowled) He conceded 37 runs in his four overs and took a wicket. Lakshmipathy Balaji gave away 44 runs in four overs at an economy of 11; the worst for any opening bowler on ODI debut. 12 – Mujeeb Ur Rahman went wicketless for the first time in an ODI in the UAE. He had claimed 26 wickets in 12 ODIs in the UAE prior to this match. 37 – Mohammad Shahzad completed his fifty in 37 balls; the second fastest known fifty in the Asia Cup against India. Younis Khan had scored a 33-ball fifty in the 2012 Asia Cup game in Dhaka. 37y 80d – At the age of 37 years and 80 days, MS Dhoni became the oldest player to lead India in an ODI game. The previous oldest ODI captain for India was Mohammad Azharuddin, whose last ODI was against New Zealand in 1999 CWC at the age of 36 years and 124 days. 100 – The century stand between KL Rahul and Ambati Rayudu is the 100th century opening stand for India in ODI format. It is also the first team to produce a century of 100-run stands for the first wicket in this format. 124 – Shahzad’s century is the first by an Afghanistan player against top nine ranked nations in ODI cricket. His hundred is also the first by any player in ODI cricket while batting at the top five when none of the remaining four managed to score more than five runs. 131 – Afghanistan’s score when Mohammad Shahzad reached his hundred. This is the joint lowest known team score when a batsman reached his 100 in an ODI game. Pakistan’s total was 131 when Shahid Afridi made a quick-fire century also against India in the 2005 Kanpur ODI. Shane Watson reached hundred when Australia’s total was 135 in the 2011 ODI against Bangladesh while Dennis Amiss, during the first ever ODI century, was dismissed on 100 when England were 135.